Ian graduated in medicine in 1980 and became a principal in general practice in 1984. 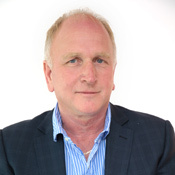 Having left general practice, Ian has held a wide range of scientific and managerial roles in and around healthcare. As Medical Director for Ashfield, Ian was central in the establishing the company as a supplier of home healthcare nursing services as well as setting up the company’s medical call centre capability in the UK. He has been involved in devising and delivering healthcare service redesign programmes in collaboration with the NHS which have resulted in sustained and significant increases in efficiency and improved patient experience. He was a member of the ethical working party of the Faculty of Pharmaceutical Medicine from 1996 to 2011. 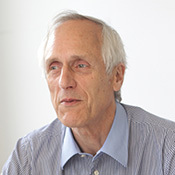 Professor Tilyard graduated in 1980 and entered into General Practice in 1985. He became a member of the Royal New Zealand College of General Practitioners in 1990. 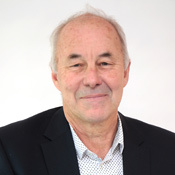 He gained his Doctorate in Medicine Degree in 1995, was made a Fellow of the Royal New Zealand College of General Practitioners in 1996 and received a Distinguished Fellowship in 2006. He is currently a Professor of General Practice, at the Dunedin School of Medicine, University of Otago. His research interests are in general practice, health services utilisation, medical informatics, diabetes and chronic disease management. He has published over 100 papers in refereed journals. Kaye has worked for BPAC since its instigation in 1997, prior to that she worked in Commercial Banking. Kaye has been instrumental in the development of BPAC from its origins through to where it is today. Her current role of Corporate Manager includes human resources, finances and accounting, contracts, quarterly reporting, Board secretary and assistant to the Chair and the Executive Director. 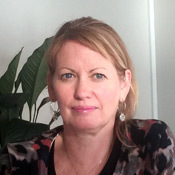 Kaye is responsible for all staff employed by BPAC Inc. Kaye also works as Corporate Manager of BPAC NZ Ltd a sister organisation responsible for Demand Side Management of the pharmaceutical and laboratory community budgets within New Zealand. She also works part time for the New Zealand Medicines Formulary and South Link Health Services as Corporate Manager. 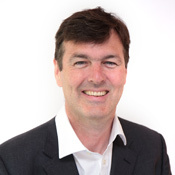 Duncan graduated Oxford University in 1985 and has since taken roles as a senior and successful leader. He was a board member and Vice Chair of an NHS Trust for ten years, including eight years as Chair of Audit. For twenty years he held senior positions at international knowledge company Reed Elsevier, followed by five years as head of the British National Formulary (BNF). He has worked on clinical decision support and point of care knowledge both in the UK and overseas. He was a founder director of the New Zealand Formulary. Duncan has also been elected to a number of posts in policy and local government. He is group leader at the local District Council, and runs medical specialist publisher EBN Health. Eric has worked in a senior role at Reuters around the world before a variety of senior digital positions led him to become CIO at South Link Health and subsequently Chief Executive at Care IS. His experience in clinical decision support has led to significant improvements in patient care in New Zealand, Australia and the UK.